Are you tired of working for someone else? Do you want to prove that you can be successful on your own? With Mark Ling’s innovative new course, you will not only learn the do's and don'ts of ad marketing but you will also develop the skills, professional support and confidence to quit your 9 to 5 job. Mark Ling’s Quit 9 to 5 Academy program will train you to acquire expert skills, secrets, and strategies from non other than the legend himself. PfD’s staff and volunteers work in partnership with local and international groups to improve quality of life for vulnerable people in underserved communities. We envision a more just, peaceful, and environmentally sustainable world, and seek to empower people by increasing their access to training, education, and resources to create more vibrant and resilient communities, with more accountable leadership. PfD is a 501(c)(3) non-profit organization. 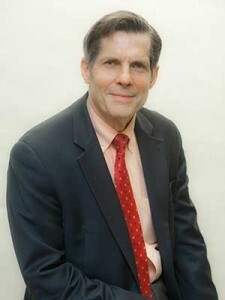 Jack Marrkand is the Executive Director of Partners for Development, having been in this position from 1991-2002 and again from 2007 to the present. He is also an ex-officio non-voting trustee on the PfD Board of Directors and in this capacity serves in the officer position of Secretary. Mr. Marrkand worked with staff and partners on operationalizing PfD’s initial programs – in Cambodia, Bosnia & Herzegovina, Somalia, Rwanda, and Nigeria -- and in developing its policies and procedures. He has extensive experience in food aid management, especially monetization programs; has previously run or worked for programs with other international NGO in Africa – Catholic Relief Services, Technoserve, and Africare; and in the 1980s served as a Peace Corps Volunteer in Burkina Faso. Also, between 2004-2006 Mr. Marrkand worked as Executive Director for Sustainable Food Center in Austin, TX and for Habitat for Humanity of Southern Maryland. He earned an M.A. in International Development and Social Change from Clark University, having written a thesis on literacy. Mr. Marrkand lives in Washington, D.C. with his wife, two children, and several pets. 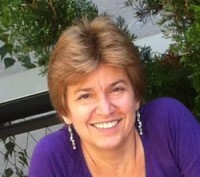 Donna Ellis has been working as a Senior Accountant for PfD since 2005. During that time she has been a key component to a multitude of proposals and has consistently managed and prepared the internal budget. Ms. Ellis previously has experience in a similar position at the House of Ruth where she was in charge of annual reporting for all government contracts. She has also held positions with the International Republican Institute, Lockheed Engineering and Management Services Company and holds technical certificates from USDA for nonprofit entities. 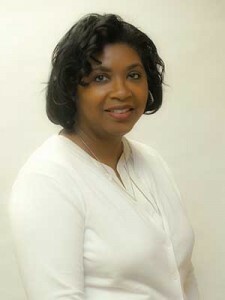 Ms. Ellis attended the University of Maryland for her undergraduate degree in education. 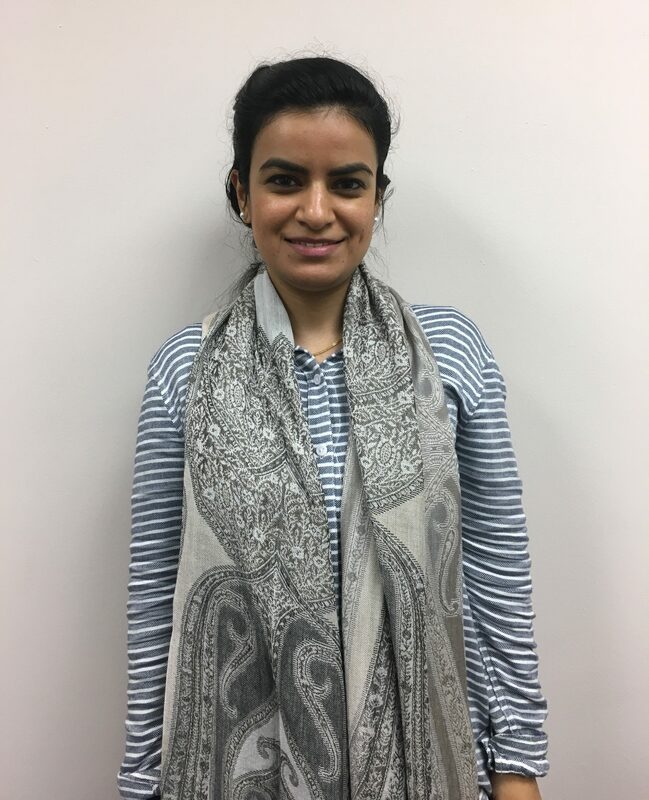 Ayesha is from Afghanistan and is interested in women’s education and empowerment, agriculture education development, and community change. She obtained her first master’s degree in Rural Development and Communication from Van Hall Larenstein (VHL), at the University of Applied Sciences in the Netherlands. She is currently doing her second Master’s in Intercultural Service Leadership and Management at the School for International Training (SIT Graduate Institute), Brattleboro, Vermont.In her country, Ayesha worked in the development of agriculture education and served as the Training and Education Director at National Agriculture Education College in Kabul Afghanistan. During her tenure in the college she developed several modules: Teacher training and communication, curriculum development, rural livelihood, research, and extension, . She also designed and implemented related training programs for agriculture high school teachers of Afghanistan, extension workers and field practitioners. While having major responsibilities in that college, Ayesha worked to transform communities’ mindsets and perception of agriculture education for boys through training and educating Afghan women in agriculture and working with their families on allowing them to get education in this sector.In her spare time, Ayesha enjoys cooking different dishes, listening to music, and going out for shopping. Ediri Kingsley Iruaga is currently serving as Country Program Director in Nigeria. Previously Ediri served as Deputy Country Program Director in Nigeria. He was born in Delta state, Nigeria and has a Master’s degree in Agronomy from the International Institute for Tropical Agriculture (IITA) in Ibadan, Nigeria. Before joining PfD, he had over 10 years of experience in community development, program design, implementation and evaluation with substantial focus on women and youth. He is experienced in developing proposals, project reports and designing entrepreneurship training for micro and small enterprises and loan recipients (women and youth) in underserved and conflict areas. 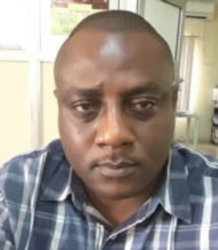 His area of specialization is microfinance and business development services and he is a master trainer for a curriculum which PfD helped to develop which is entitled Nigerian Agricultural Enterprise Curriculum (NAEC). 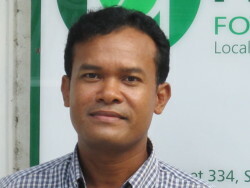 Dr. Im Sarun has served as Partners for Development’s Country Program Director in Cambodia since 2009. Prior to his current position, Dr. Sarun was the Executive Director of Partners for Development Cambodia (PfDC) - a local Cambodian NGO affiliated with PfD. Dr. Sarun also served as country program director for four years under the Canada South East Asia Regional HIV/AIDS Program, as well as working with the Ministry of Public Works and Transport and a range of NGOs based in Phnom Penh such as Reproductive and Child Health Alliance and Transcultural Psycho-Social Organization. Dr. Sarun earned a MD from the University of Health Science in Phnom Penh and later, as a Fulbright Scholar Dr. Sarun achieved a Master’s in Public Health from St. Louis University with a focus on International Community Health Education and concentrations in Behavioral Science, Program Planning and Management and Monitoring and Evaluation. Dr. Sarun also speaks Khmer, English and French. Cynthia Taha is the Chief of Party for PfD’s Benin office where she leads the Pineapple Processing for Export (PINEX) and Growing Resources for Enhanced Agriculture Enterprises and Nutrition (GREEN) projects in southern Benin. PINEX will strengthen the pineapple value chain at all levels while GREEN seeks to help vegetable and fruit farmers to improve production and increase crop revenues. Prior to her work with PfD, Ms. Taha led USAID educational projects, USDA agricultural projects as well as a USDO anti-trafficking project. Through her experiences at PfD and elsewhere Cynthia has attained skills in project design, monitoring and evaluation, and management. 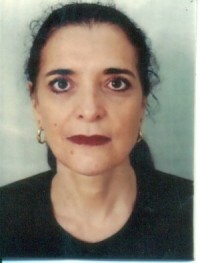 Ms. Taha has lived and worked in Benin for 18 years and she speak both French and English fluently. She holds a Master’s degree in Administration. 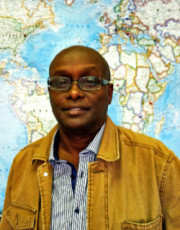 Dr. Mekebeb Negerie (Mike) has 25 years of experience managing and mentoring teams engaged in improving public health. Mike began his academic studies with a Bachelors degree in Agriculture then went on to obtain a Masters degree in Public Health from the Philippines Union College and a Doctorate of Public Health degree from Loma Linda University in California. Mike specializes in care and support for people living with HIV/AIDS, child survival and reproductive health. He has work experience in 40 countries and has participated in numerous assessments and evaluations of health programs, particularly in sub-Saharan Africa. Mike is skilled at participatory design of projects as well as monitoring amd evaluation systems. Much of his work has focused on training, capacity building, and provision of technical support to strengthen community, public, and civil society programs and structures. He has authored over 20 articles include five that have appeared in peer reviewed publications. Tumisang is from Botswana and is passionate about poverty alleviation and empowering marginalized communities, particularly in Sub-Saharan Africa. In late 2016, Tumisang earned her M.Sc. in Development Administration and Planning from University College in London. As a graduate student, Tumisang became particularly interested in market systems approaches to poverty reduction and is now looking forward to learning more about PfD’s work in value chain and microfinance. Before graduate school, Tumisang attended Stanford University, where she earned her B.A. International Relations. 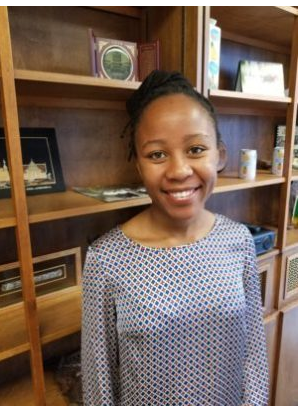 As an undergraduate, Tumisang interned with grassroots organizations serving communities in Botswana and South Africa. At TeachAIDS, Tumisang evaluated the content of innovative HIV/AIDS animations from development to launch and wrote proposals to help support the non-profit. These animations are currently used in schools across Botswana to educate thousands of youth. Similarly, at IkamvaYouth in Khayelitsha, South Africa, Tumisang helped underprivileged youth access tertiary education and employment opportunities through conducting structured research of scholarships and other opportunities available for these students. In these organizations and others, Tumisang also performed various tasks to help organizations administer their programs and manage relationships with various stakeholders. Tumisang She updated website content, edited financial and progress reports, and organized workshops and community outreach events. These experiences gave Tumisang insight into the management and operations of NGO. During her free time, Tumisang enjoys reading, lifting weights, and learning boxing. She also loves to travel or to merely dream about travel when finances are tight.